After having previously worked with the European Copper Institute (ECI) on visual communication projects, the objective of this project was to look closer at the environmental & resource efficiency aspects of copper. Copper is a natural resource that can be recycled again and again. 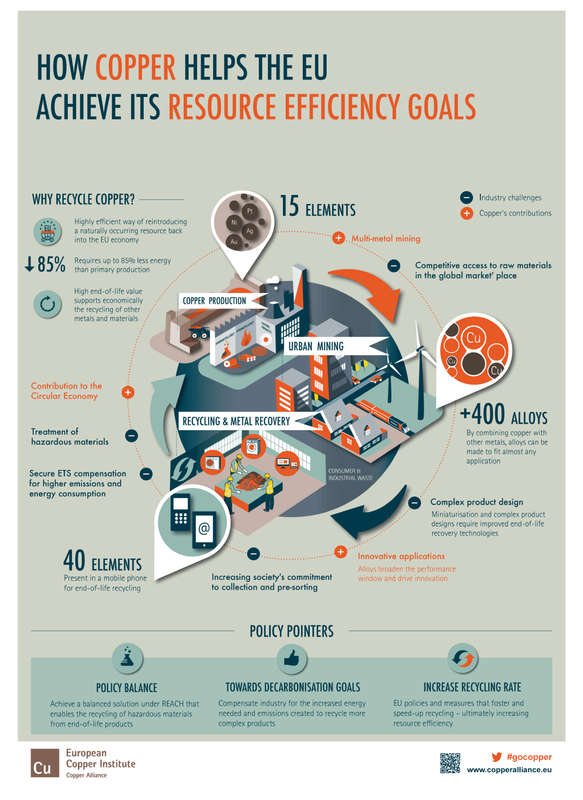 After extensive research, we decided to visually focus on both challenges and contributions of the material to the EU’s resource efficiency goals. Our story followed each process from material production to applications (urban mining), to recycling and recovery. The outcome was a poster presented during a meeting organised by the European Commission.